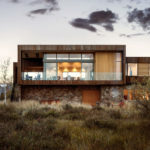 Architecture firm Olson Kundig have designed this home in Ketchum, Idaho, for their clients that wanted a modern house that would ‘feel authentic to the high desert mountain landscape’. 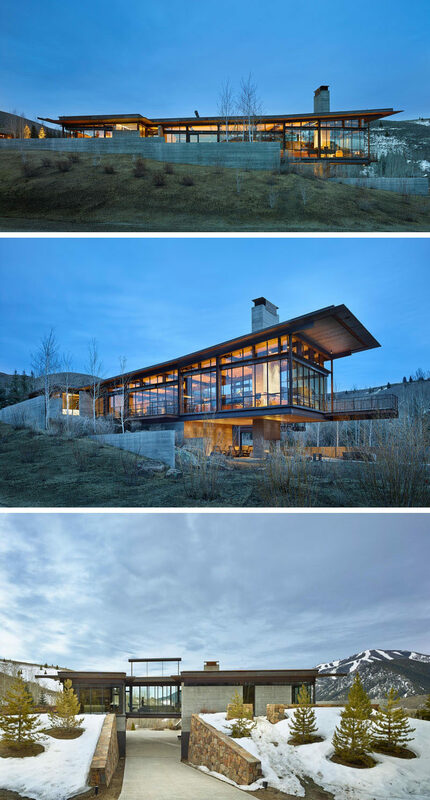 This resulted in a home that has a ‘mountain industrial’ feel to it. 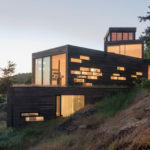 Elements of concrete and wood have been paired with steel and glass, like in the bright that connects the two sides of the home, and has a glass wall that pivots open. 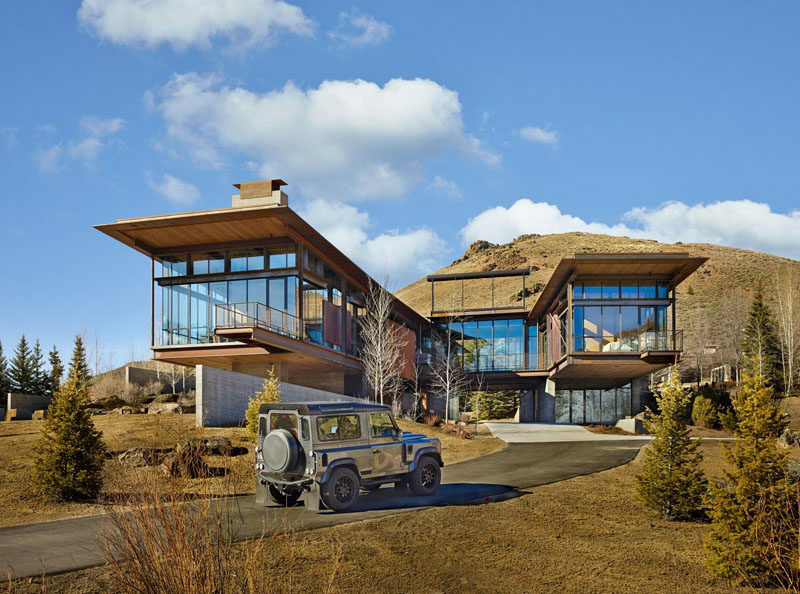 The roof of the home is made of corrugated weathered steel that slopes slightly and matches the garage door. 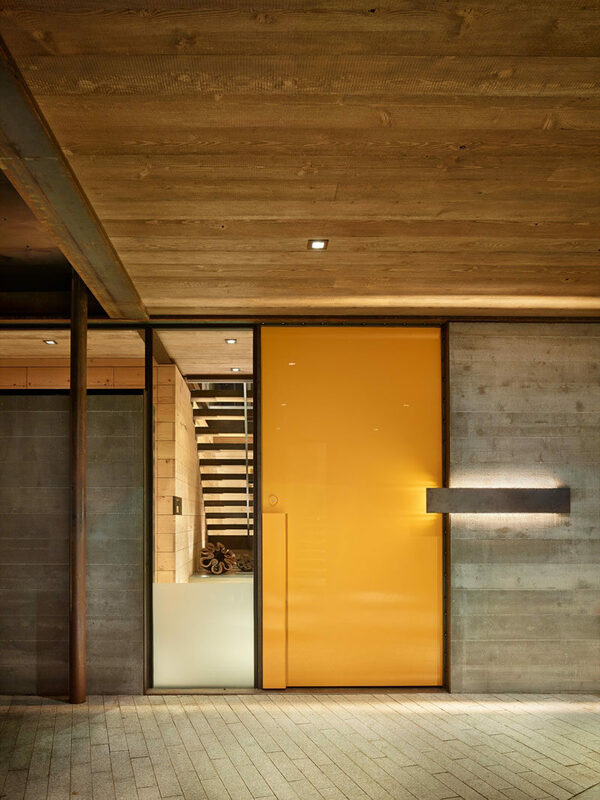 Next to the garage, a bright yellow front door greets you and a window gives you a glimpse into the home. 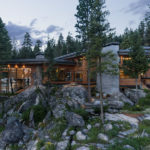 In the living room, a see-through fireplace can be enjoyed from both sides, and a large leather sofa has been paired with a curved-edge steel coffee table. 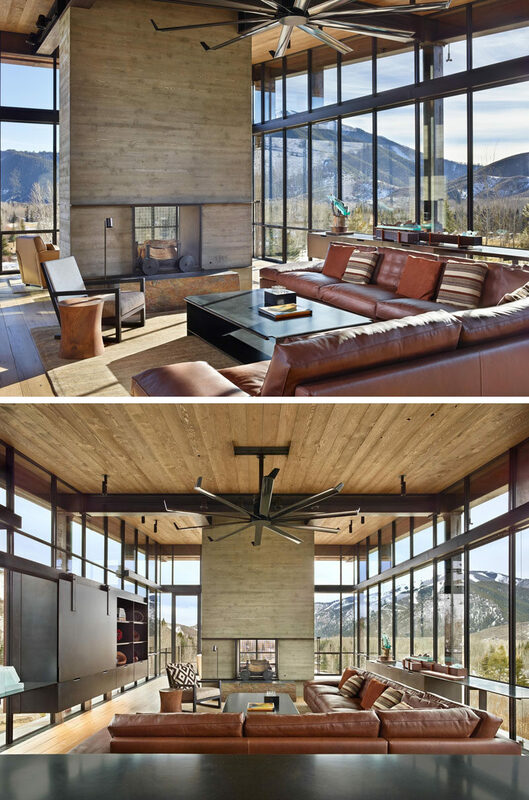 Installed above the living room is a large fan with steel blades, ideal when trying to create a modern industrial space. 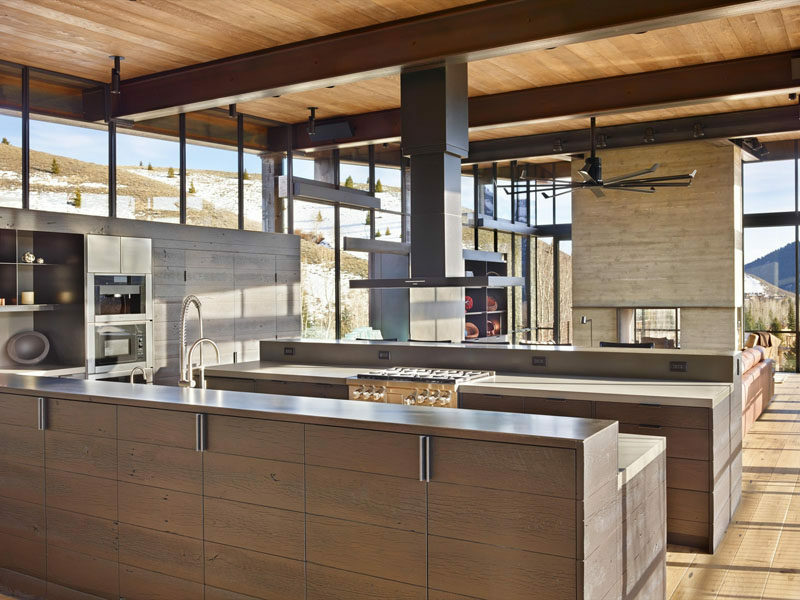 The kitchen is made up of two islands that create a galley-like appearance, with the cooktop on one island and the sink on the other. Here’s a closer look at the huge glass wall that’s twenty-five feet long and that pivots to open. 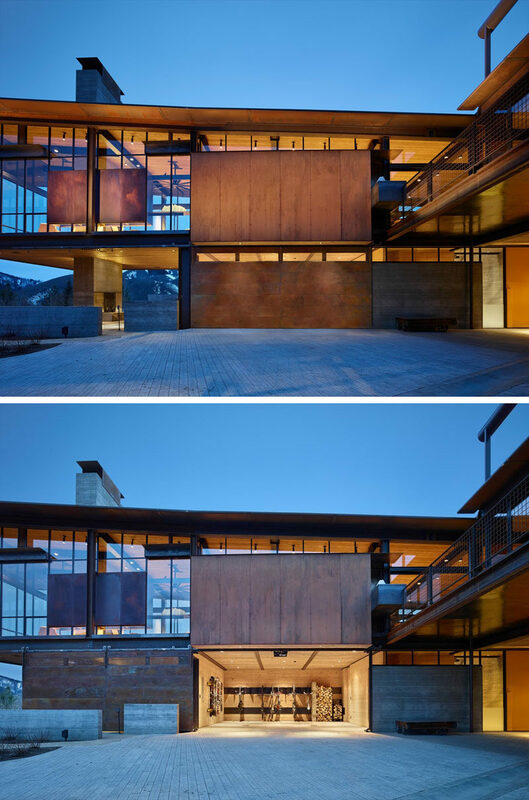 The wall is counterbalanced overhead by a large steel weight that sits five feet above the roof. 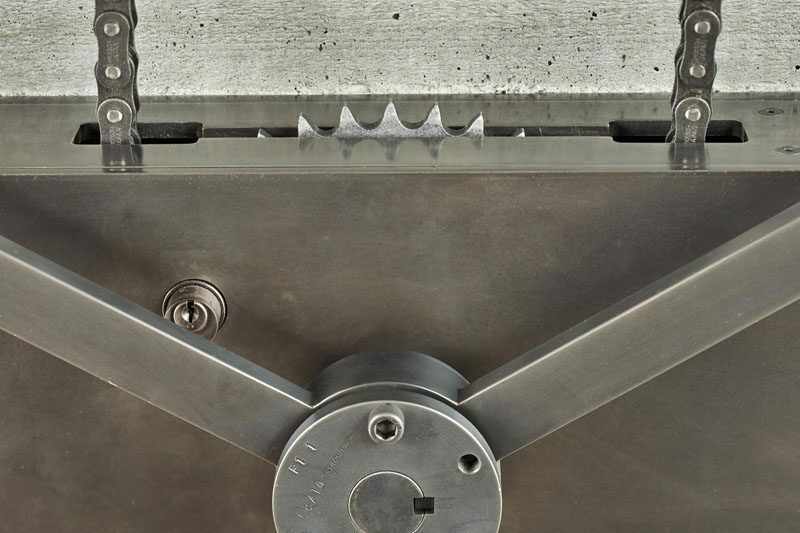 Attached to the wall is a hand-wheel crank with an eight-foot long screw that is used to open it. Here’s a closer look at the hand-wheel crank. Corner doors open a small living room (or home office) to the outdoors. Black door and window frames match the steel coffee table and the beams in the home. 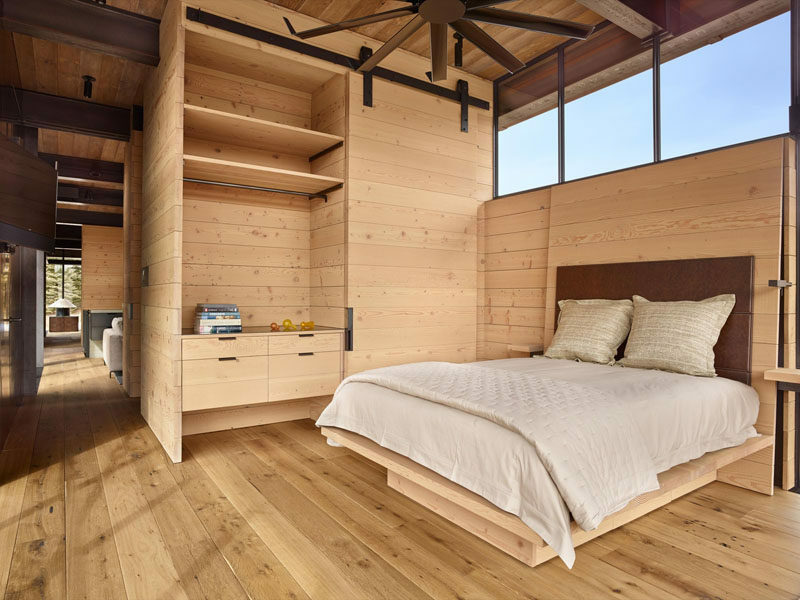 The bedroom has a warmer feel to it with the use of wood, however industrial elements like the fan and sliding barn door are also included. The wood continues through into the bathroom, this time it’s paired with stone tiles and a concrete bath. 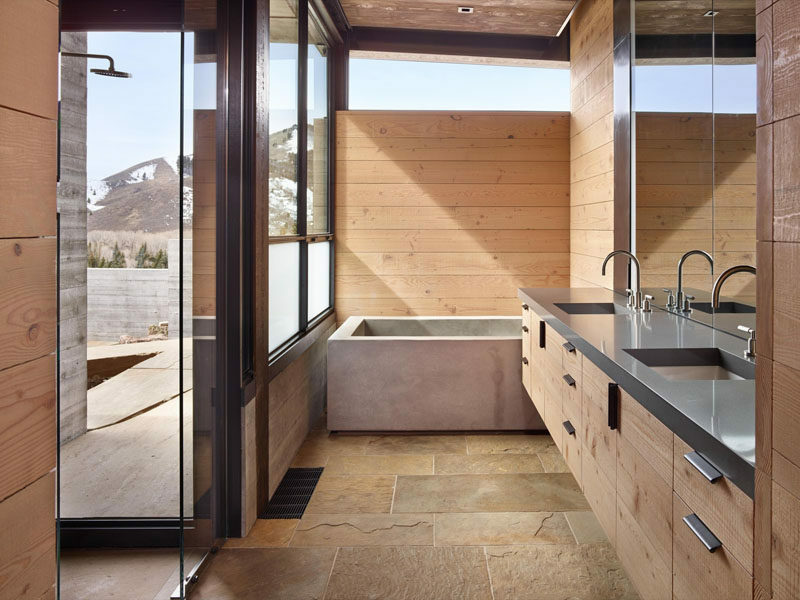 In the shower, there’s a floor-to-ceiling window so that you can have mountain views while relaxing. 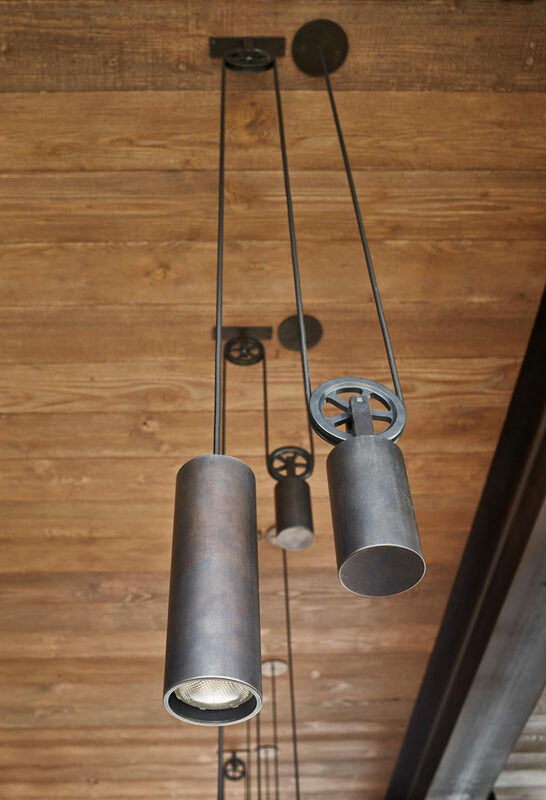 Small details, like these industrial pendant lights that are hung using a pulley system add to the industrial flair of the home. A wooden bench continues the industrial theme throughout the house with steel wheels attached to the legs.